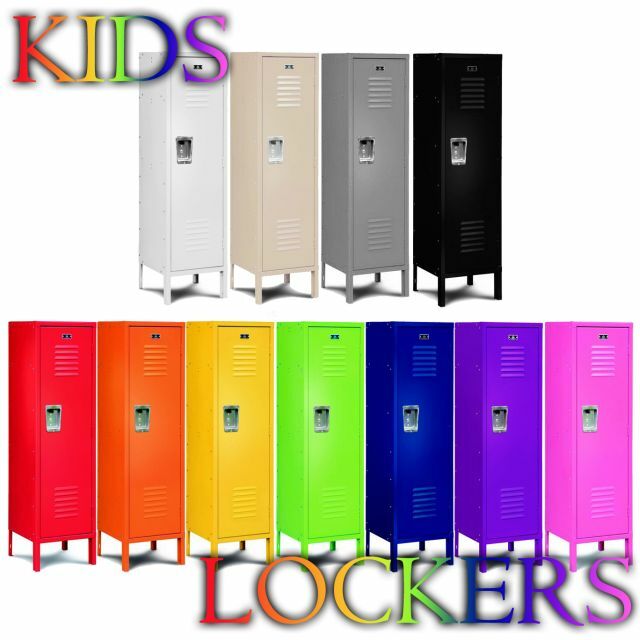 These Mini Kids Locker are available on www.buyusedlockers.com where they have a huge selection to choose from if we need additional supplies. 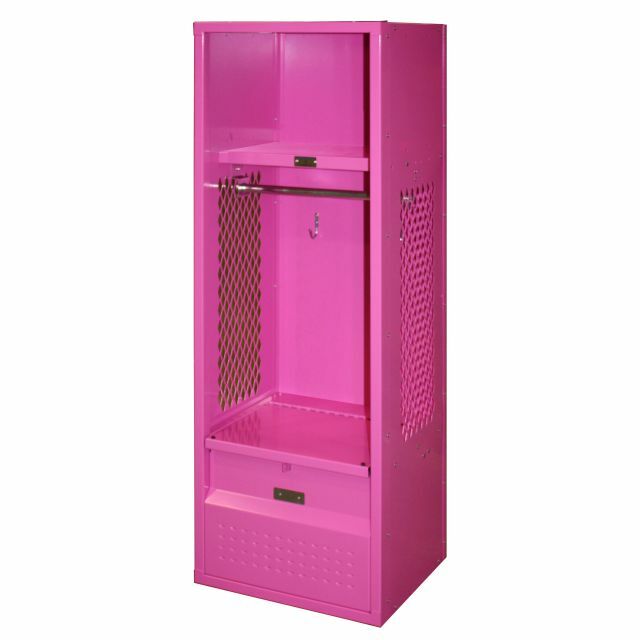 Our fun and colorful mini kids lockers are great for kids' rooms, sports rooms, end tables, night stands or any other place you may want to add bright and vibrant colors to your home decor. 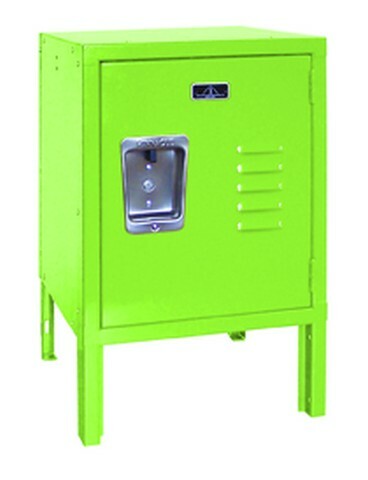 Available in many fun colors from our "quick ship" program. 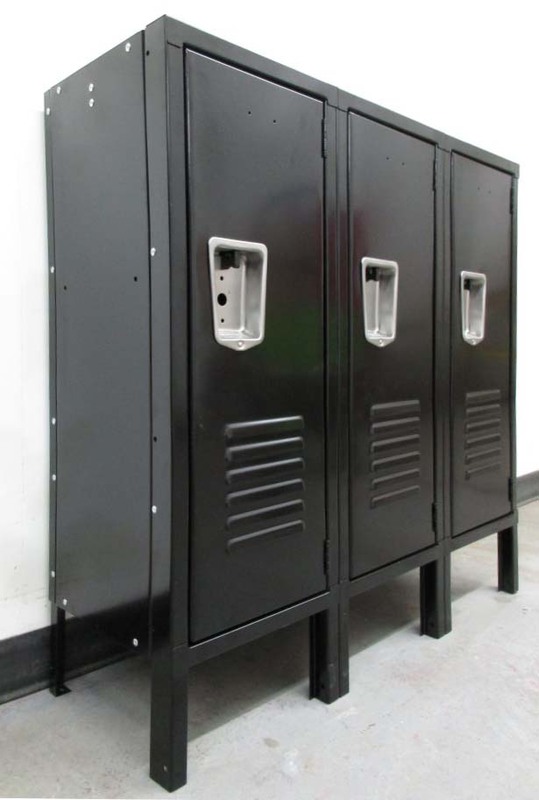 Due to their compact design and lockability, even big kids love having them for their cramped dorm, apartment or living quarters. 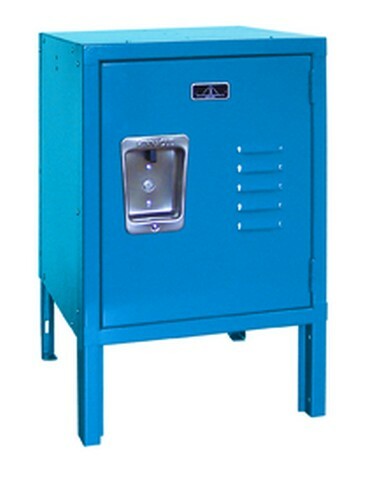 Each is 15" wide x 15" deep (to discourage tipping) x 18" high (or 24" high overall including the 6" legs). 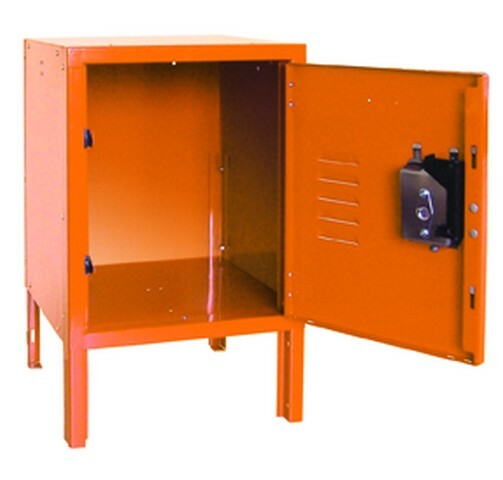 They are lockable and accept most locks. 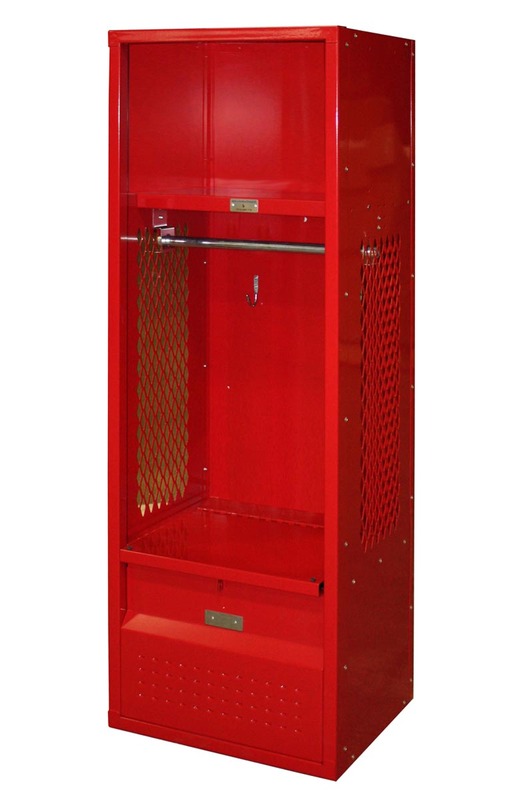 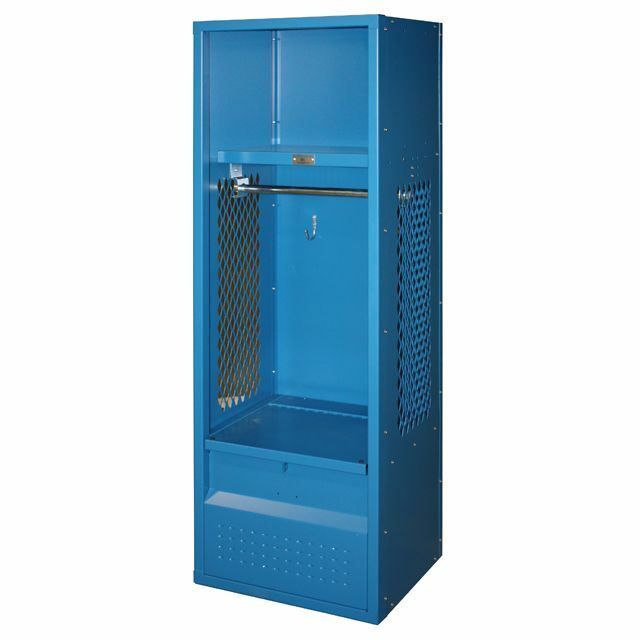 We manufacture these to the same quality specifications as our premier school lockers with heavy 16-gauge steel doors and durable welded channel frames.